A co-founder of Reddit, Alexis Ohanian, sat down with me to talk about the first six months of Reddit. We talked about his experience in YCombinator, meetings with Google and Yahoo, and the highs and lows of being an entrepreneur. This is a great interview and you don’t want to miss it! 1. Initially the Reddit team was rejected by YCombinator. Paul Graham then followed up with them via a phone call and said “as long as you ditch your original idea, you can come be a part of YCombinator”. This is a great reminder that investors often care more about the team then they do the product. 2. Alexis also talks about how Reddit was able to get new users by creating fake accounts to simulate an active community. 3. Alexis talks about a meeting they had with Yahoo, but he felt that the meeting sucked because Yahoo was more interested in the traffic they were generating then the actual mission of the site. 4. Met with Google, and things went really well. This was a huge boost of confidence for the Reddit team as “some very smart people at Google were interested in our product”. 5. Alexis also reminisces about doing “digital grunt work”. 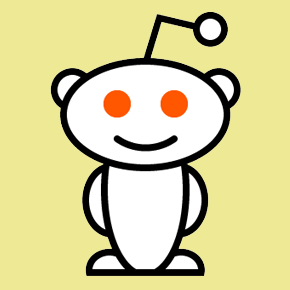 Alexis attributes a lot of Reddit’s success to doing things that aren’t glamorous. Great reminder that entrepreneurship is all about “the hustle”. 6. Entrepreneurship is a Bipolar existence. Sometimes you feel like you’re building an online empire, and other days you feel like a nobody. This is completely normal. 7. A tip that Alexis shared for other startups was to “celebrate quick and easy wins” (especially in the first 6 months). This helps to build momentum, and establishes comradery on your team. Please follow us on Twitter for up to the minute startup news @startupfoundry. Next Next post: 31 days, 120,000 hits, and $462 in revenue. The Startup Foundry’s story.